Would you like to have a proven method for communication that bonds your manto you and gives you a deep level of connectedness? Would you like to understand the inner-workings of your man's heart and mind, so that no matter what comes up you can face any situation with confidence and peace of mind? then you are going to love the Cracking The Man Code program! If you've ever been mystified by why men do the things they do and baffled by their decisions, you are not alone. Trying to figure men out can be exhausting. It's tough to build the type kind of connection that leads to lasting love and it's normal to have more questions than answers. 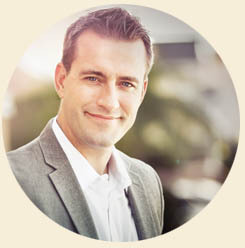 Mat's clients are constantly raving about how his coaching created the shift needed to create a deeply loving relationship. Now it's your turn to manifest the relationship you deserve! LOVE INGREDIENTS that men need in order to create a meaningful and fulfilling relationship. As you begin to expand your awareness of how men think, what they intrinsically want, what motivates them, your life will never be the same. You'll know how to build attraction, how to create connection, and how to make it last. AND... here's the best part. Once you learn it, you can never unlearn it. You will ALWAYS have this awareness. minds of men. This exclusive program is the culmination of over 8 years of research and coaching, and I've put it together in a simple and easy format to give you the insider secrets on what motivates men and why they do the (often confusing) things they do... like going into their "man-cave" and playing Houdini for starters! Break relationship patterns that don't work. and how to make sure he answers those questions with a resounding YES! five words they absolutely LOVE to hear that will activate one of their deepest subconscious desires. What would it be worth to you to be in the relationship you've always wanted? Are you willing to have your relationship be easy, fun, and fulfilling? Here's the best part! Once you receivethese insights, you can use them for the rest of your life. They will serve you through the dating process. They will empower you when you're engaged, and these principle will impact and deepen your relationship when you are married! 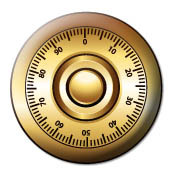 Simply click the "Add To Cart" button below, and you will get instant access to the entire Cracking The Man Code program, and you will begin increasing your awareness and ability to connect with men immediately. 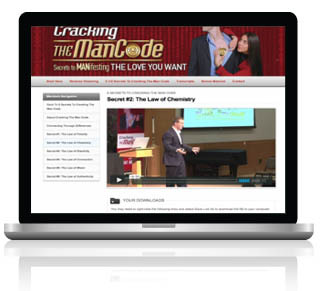 The Entire Cracking The Man Code Video Program. All 6 1/2 Secrets To Building Attraction and Lasting Connecting. 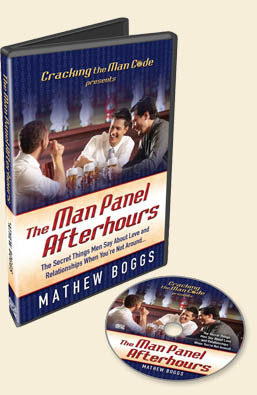 The Man-Panel After hours Bonus Program (to get insider secrets to what "real men" want in relationships). 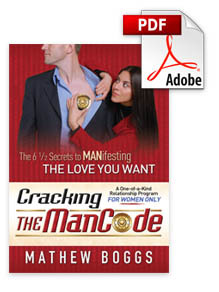 Complete Cracking The Man Code Digital Guidebook. Transcripts of the entire program to make remembering points and highlighting ideas for expanded awareness as easy as possible.